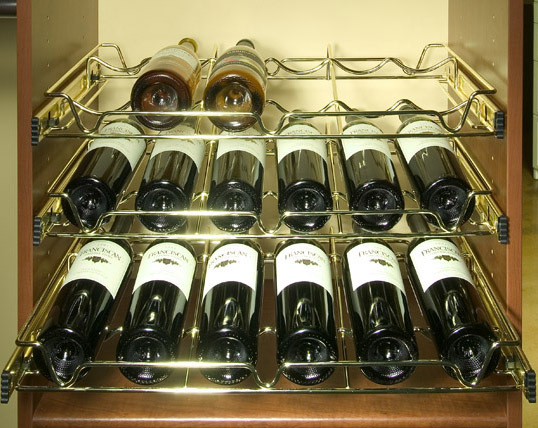 The kitchen is one of the toughest rooms in the home to keep organized since it is often the center of activity for the home. 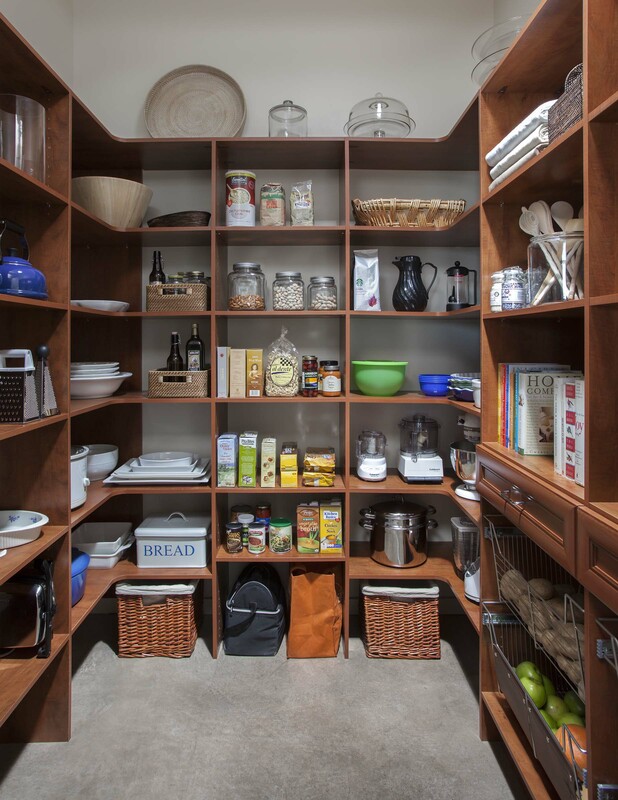 One of the biggest problems with a traditional pantry is the unused space and many residents of Austin have fixed shelving that cannot be adjusted. 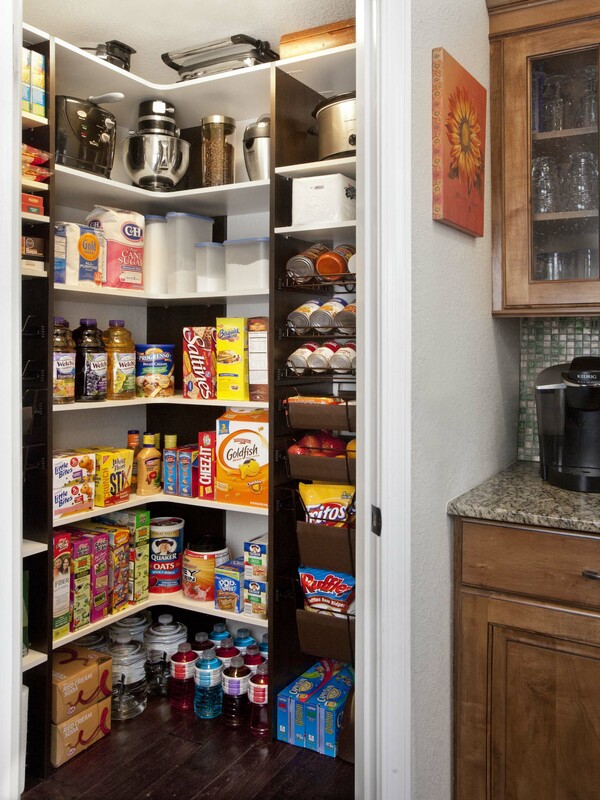 Everything comes to life, however, when you have a pantry that is efficiently designed to suit your needs. 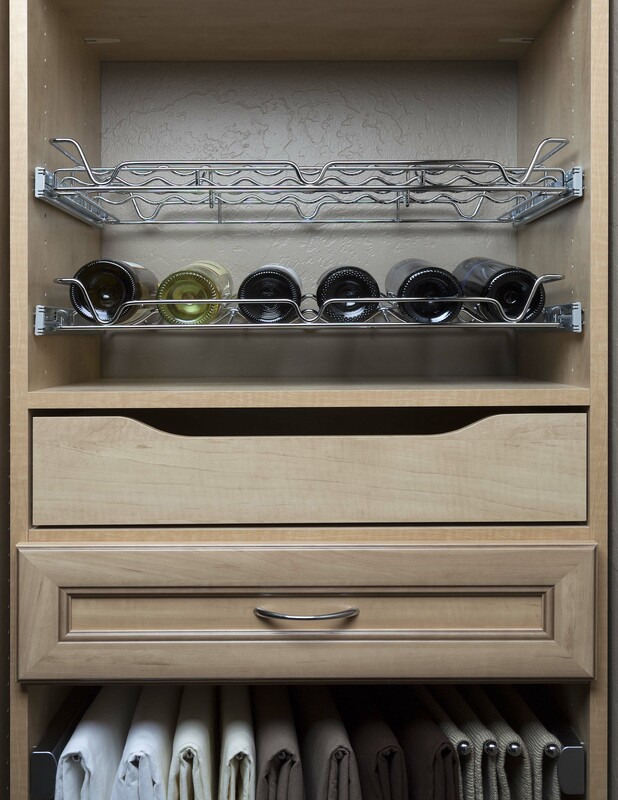 Our professional design team has plenty of pantry storage solutions that can make it easy for you to show off your extensive wine collection or create your favorite dishes. We are proud to offer high quality materials and expert installation to our clients. 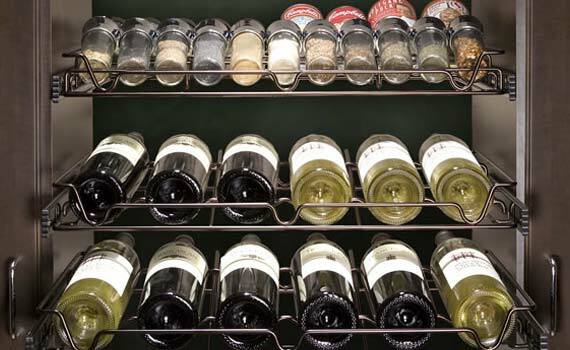 Austin Closet Solutions has the perfect pantry organizers to help you improve your dining experience, whether you need food storage solutions for holidays, celebrations or even family dinners. 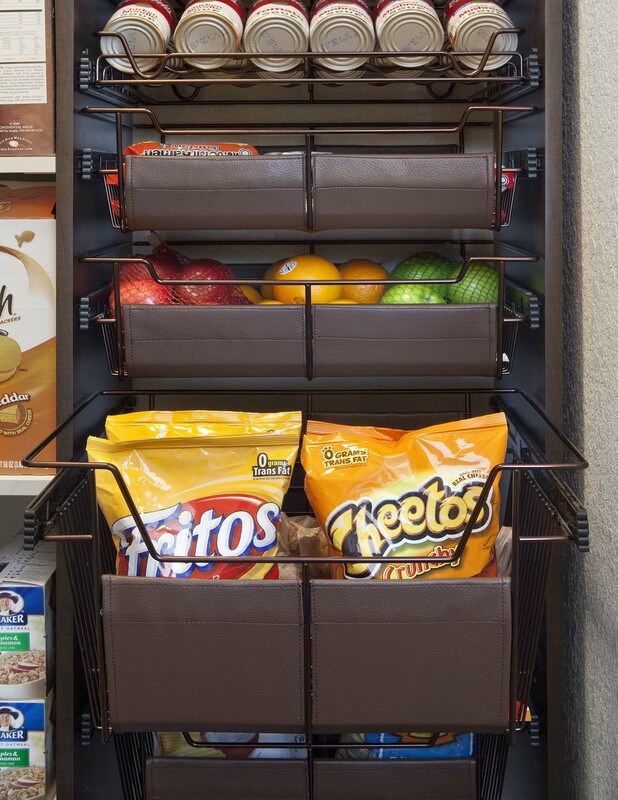 At Austin Closet Solutions, we invite you to customize your pantry design because we understand that every pantry is unique and so is your style. 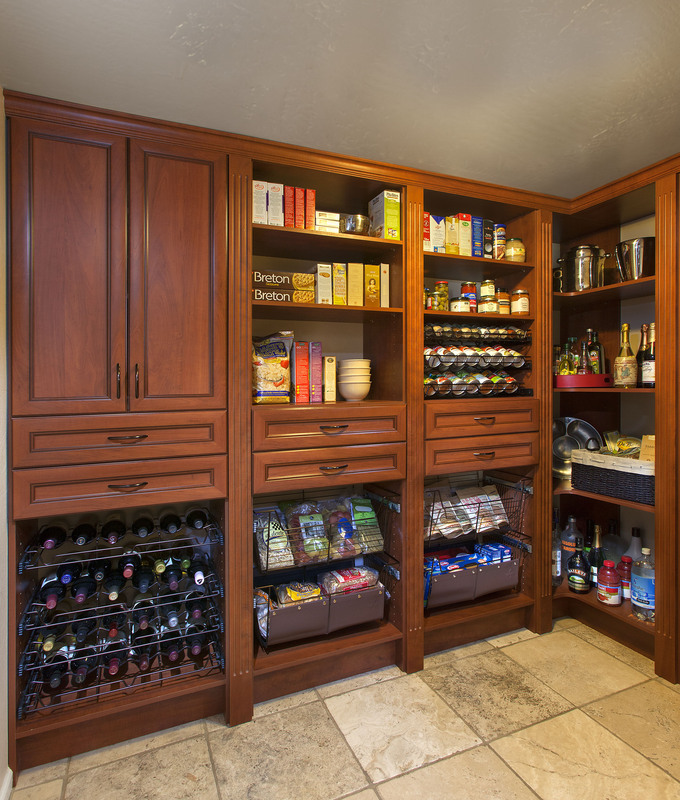 By providing a custom pantry evaluation, our design experts can identify any potential trouble spots that currently exist and how we might be able to address them. 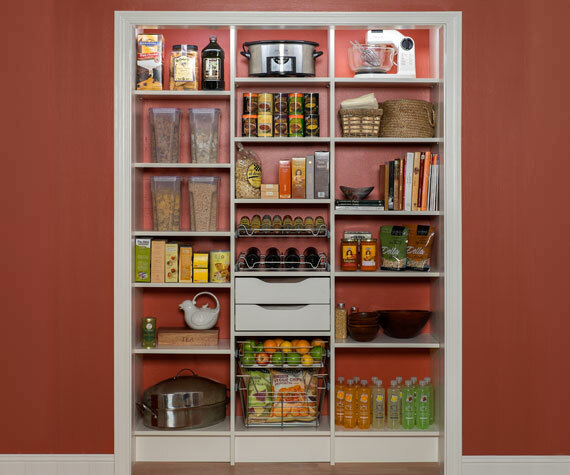 From that point, we will present you with a completely customized design plan in order to optimize your pantry space, making more of it available for use. You can personalize your design even further with two different finishes of your choice for any wire accessories. 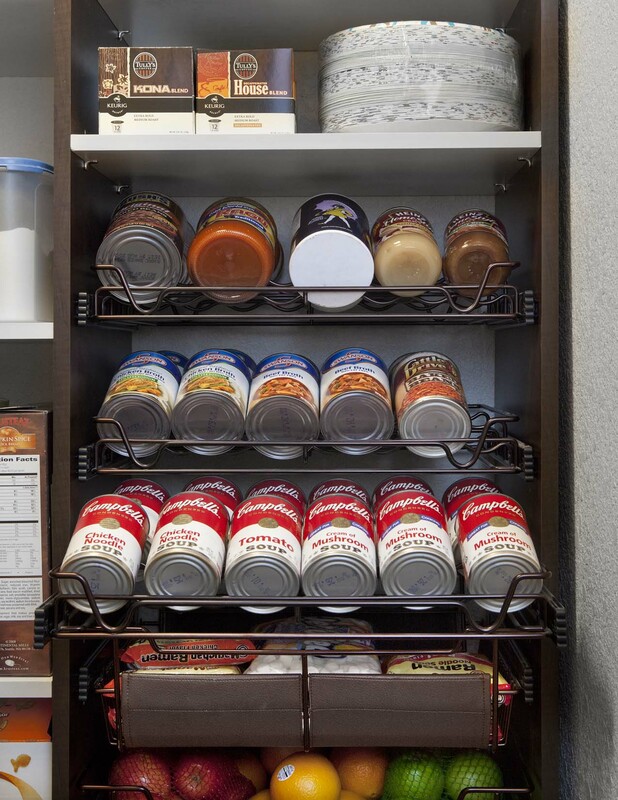 Get more out of your kitchen pantry, schedule a free in-home consultation today, and upgrade to custom pantry storage solutions that we know you will love. 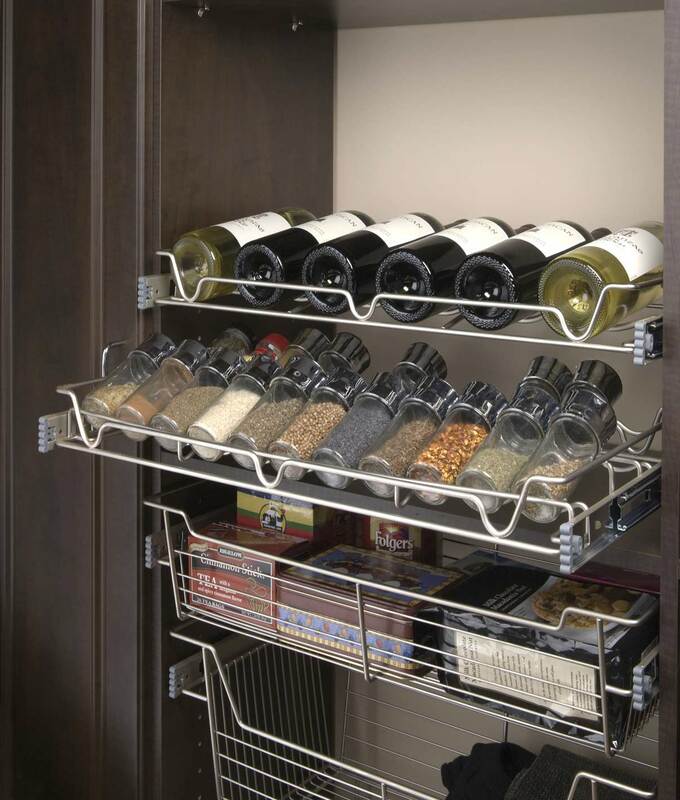 Austin Closet Solutions has everything you need for a better pantry.